The Cape Cod of the Midwest! interpretive trail runs from the campground to the tip of the park’s sandy crescent. Because of its location it attracts a large variety of waterfowl and shorebirds. A birding festival occurs the 3rd weekend in May. The site is also home to a large monarch butterfly population. 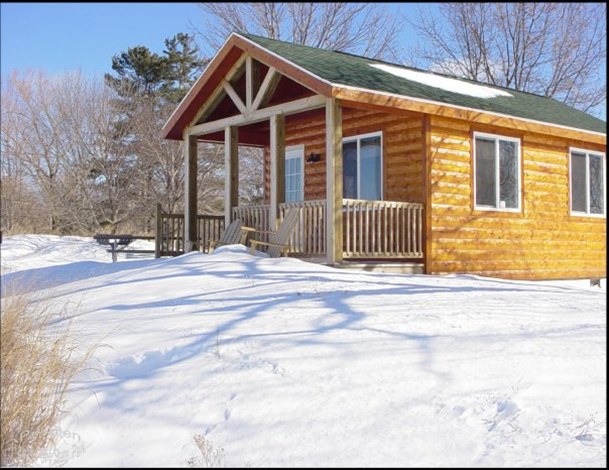 Campground: There are 193 modern sites, 4 cabins, and a yurt with a shallow, child-friendly swimming beach. There is also a pet-friendly beach, horseshoe pits and a volleyball area. 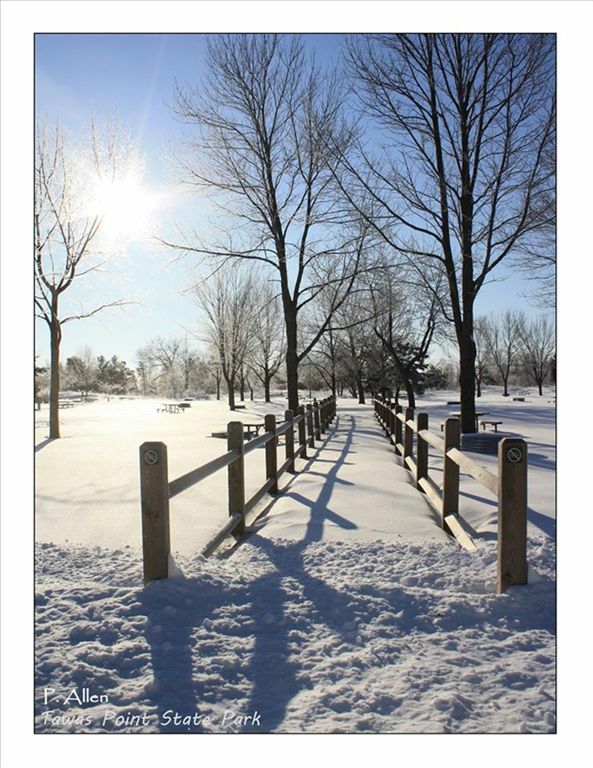 Day-Use: The day use area has a mile of sandy beach on Lake Huron with picnic tables and grills. There is a beach concession that offers great food and drinks. A catch and release fishing pond is also available. illuminated with exterior lights. Tours are available during the summer months. 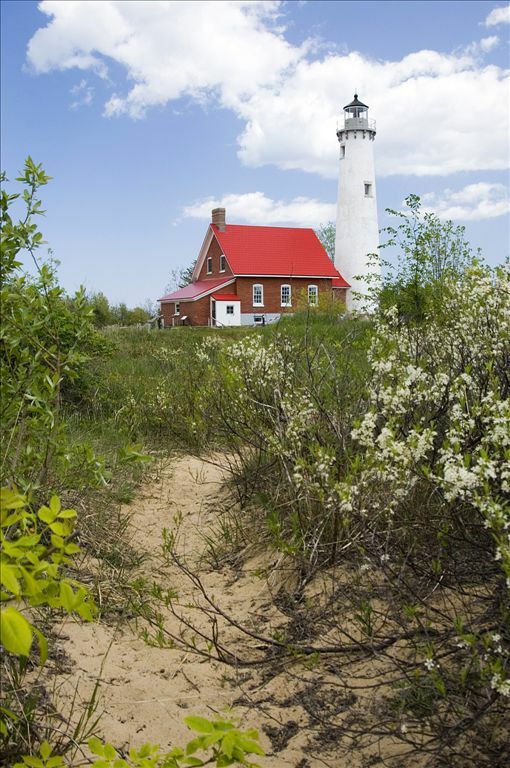 History: The Tawas Point Lighthouse serves as the sole representative of a true Victorian-era style station on the Great Lakes. In 1852, construction started, and the lighthouse was commissioned in 1853. 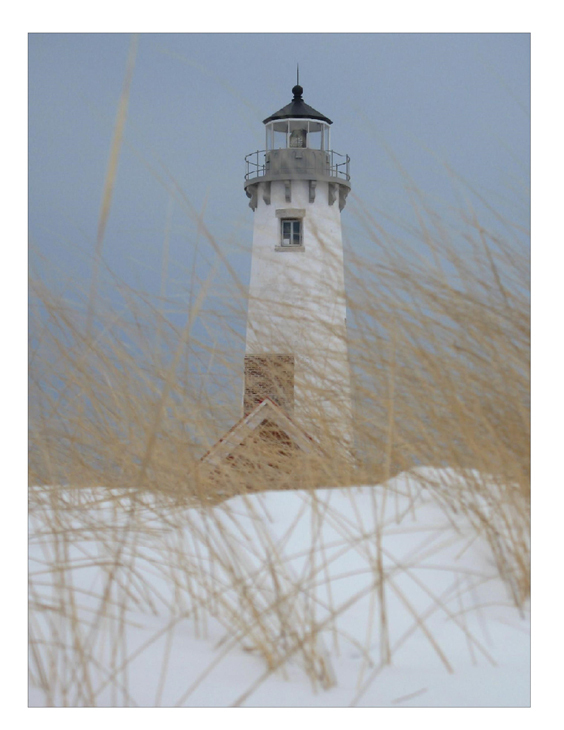 After the lighthouse was built, many problems were encountered. Shifting sands caused the point to be extended by nearly a mile. Moreover, the structure was failing, and a ship disaster in the 1870s led to the decision to construct a new lighthouse in 1875. In 1876, construction was completed, with a final cost of $30,000. At night, the keeper's house and tower are illuminated with exterior lights. Tours are available during the summer months. 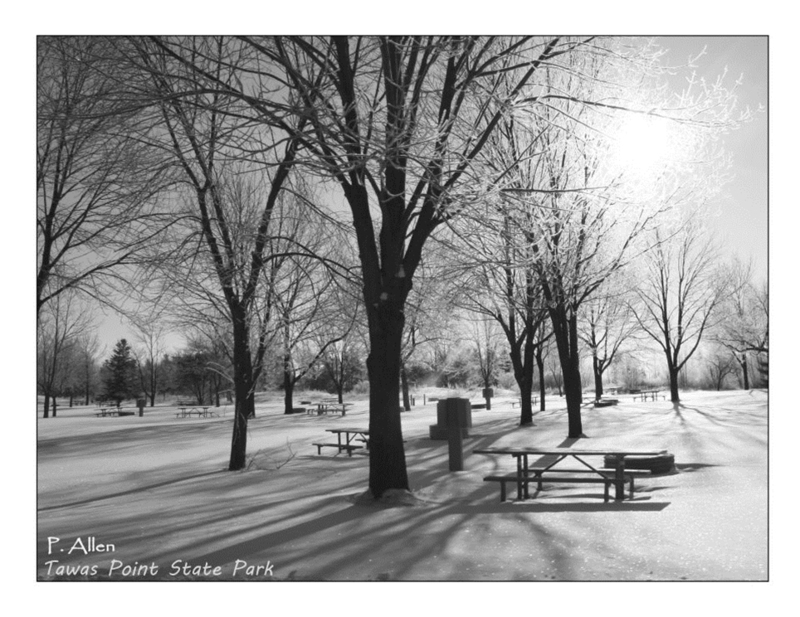 Winter Activities: Tawas Point State Park offers snowshoeing, ice skating, winter campsites and winter cabin rental. Access to Lake Huron provides ice fishing opportunities. Directions: From East Tawas, take US 23 north one mile to Tawas Beach Road. Turn right and proceed 2.5 miles. A DNR entry fee/permit is required.